Maryknoll residents, weary of the “appalling road conditions” in their township, are lobbying the council to do more to keep local motorists safe. Moore Road, Fogarty Road and Bessie Creek Road have been labelled the most dangerous by Maryknoll and Nar Nar Goon residents, who claim irregular maintenance and low-quality grading contribute to the notoriety of the roads. On Monday 4 February, a school bus travelling along Moore Road was allegedly shaking so forcefully on the unsealed surface that one of the windows smashed. It’s the second time it’s happened on the road. “Moore Road is the shortcut – everyone cuts through it instead of going out on the highway and back to Pakenham. Clearly with that amount of traffic going through and the school buses – about six or seven that come through there – surely with that you either have to look at a better road management system or bitumen it. They need to do something,” resident Karen Ollier said. Maryknoll CFA volunteer Mick Cramer said the state of those three roads “double” the response time for firefighters because they are so difficult to drive on. “It’s a safety issue; at the Maryknoll CFA we have to get to people’s houses at speed and we can’t on those roads – we have to slow down and it doubles our response time to get to a house fire or if someone’s having a heart attack, because we can’t get there. You drive the truck and everything falls off the dash – the defib, first aid kit, you name it. “We’ve sent letters and emails and everything to council, and we just get nothing. Resident Andrew O’Loughlin has approached the Ombudsman about the roads. 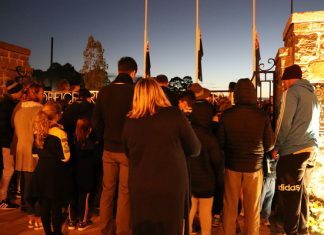 “All that we have ever asked for is that Cardinia Council honour its side of the public contract; that is to maintain the infrastructure, keep us safe and well. Nothing else,” he said. “Does it have to take another school bus window to implode – pick all the glass out of the kids’ hair before something’s going to happen here?” Deb Nadenbousch added. Maryknoll is home to just under 600 people and has a mixture of sealed and unsealed roads. But the community members say it is not the dirt roads they are concerned about. “There’s nothing wrong with dirt roads, they just have to do it right. They are grading it wrong – they do a day of grading then the rain comes and washes it all away and it’s back to the same thing,” Ben Nadenbousch said. In the last council budget, Cardinia Shire approved the borrowing of $20 million to seal 50 kilometres of roads. Council’s Acting General Manager of Assets and Services, Debbie Tyson said of the three roads, only Bessie Creek Road is a candidate for the road sealing program. “We expect the first roads to be constructed under this program will commence in early 2020. However, a final decision on the roads for inclusion and the project timing will not be made until tendered pricing has been received,” Ms Tyson said. According to Ms Tyson, Bessie Creek, Moore Road and Fogarty Road are scheduled to be graded six times in 2019. “Warmer weather and dryer conditions always present a challenge for unsealed roads and council is aware the condition of parts of our unsealed road network is a concern to residents and road users,” she said. “Council has started a six-month transition from a reactive program to a predictive maintenance program, underpinned by an updated Road Management Plan adopted by council in December 2018. This will provide greater certainty for residents and road users around maintenance scheduling, and will support other changes that will progressively help improve the experience of all our road network users. 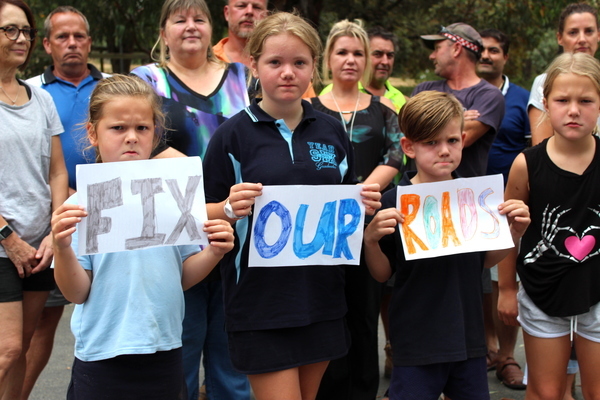 VicRoads say all three roads are the responsibility of Cardinia Shire Council. VicRoads figures also show that in 2018, there were two crashes recorded on Bessie Creek Road with eight crashes recorded in the five years to December 2018. In the five years to December 2018, two crashes were recorded on Fogarty Road and one crash on Moore Road.